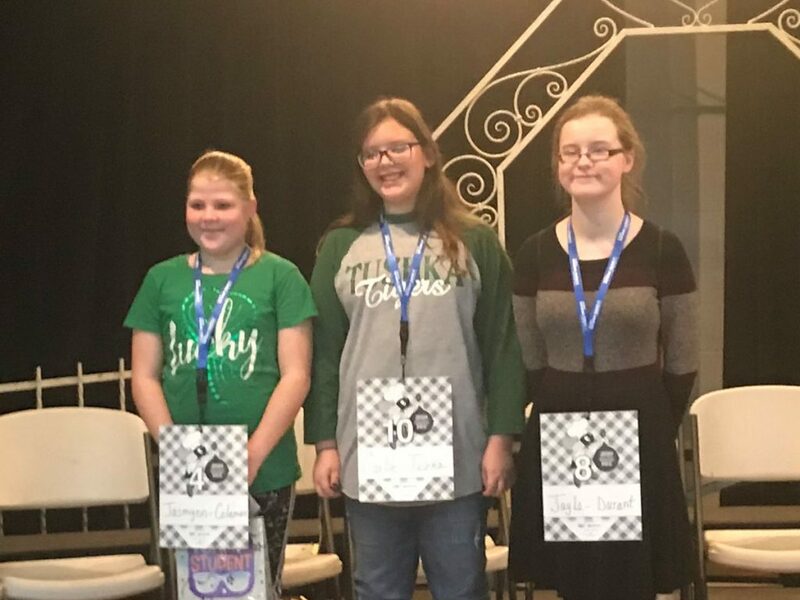 From left to right: Jasmynn Sanchez (Third place), Carley Snow (Runner-up) and Jayla McWilliams (Winner) at the 2019 Region 19 Spelling Bee at Calera Middle School. Staff photo. 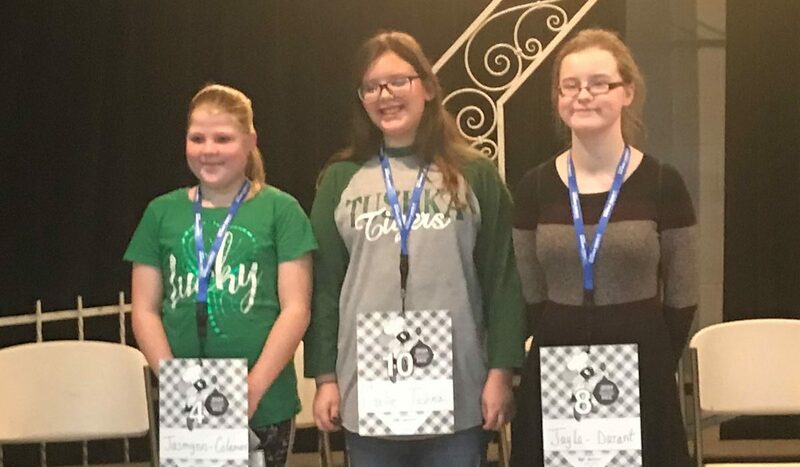 CALERA – Durant eighth-grader Jayla McWilliams took first place on Tuesday night in the Region 19 spelling bee. She will continue on to the next level of the spelling contest at the State level in Oklahoma City on March 2. McWilliams said she was very excited about the win and at the same time a little nervous about moving on to OKC. Carlie Snow from Tushka was the runner-up and has also earned a trip to state. Coleman’s Jasmynn Sanchez finished in a tie for third and won the tiebreaker to become the alternate from the region if either of the top two finishers can not make the trip. Calera Middle School hosted the event. CMS principal Greg Thralls acted as the moderator for the spelling bee and talked about his appreciation for the efforts of those who competed. “We live in a day and age when kids use abbreviated words in texting, and in some cases no words at all, but emoticons and send Snapchats with just symbols,” Thralls said. The state level of the spelling bee will be hosted by the OU Children’s Hospital.